I don’t understand what I’m listening to, that first song ‘Brandenburg Gate’ was a whole lot of noise, I really wish I could type the face I’m making. I’m confused. Did Metallica say to Lou Reed “Hey Lou, you just do whatever and we’ll play whatever and then let’s play a fun game and just put the two together regardless of what it’ll sound like… That’ll be amazing!” now look that conversation probably didn’t happen but it sure as hell sounds like that’s what they’ve done. Four tracks to go, four very long tracks, but OK ‘Frustration’ PLEASE be an instrumental. Ahhh crap. It’s not. Man, why wasn’t this music saved for a REAL Metallica album? That could’ve been good. ‘Little Dog’ run away, don’t go inside, run, find a new family, you don’t want to be a part of this one. Seriously, at what time did all four members of Metallica think this was good? I just can’t fathom that would’ve happened. 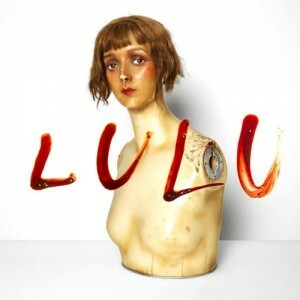 I mean, I’m now going to listen to ‘St Anger’ to try and get this one out of my head, that’s how ‘good’ Lulu is. ‘Dragon’ again, you’ve got some great music in there you’ve, I feel, wasted. That’s such a shame as it’s that signature Metallica sound too, oh well. Last song. ‘Junior Dad’ any redemption here? Can we go out on a high note, or any note for that matter? Not really but this and ‘Iced Honey’ were about the only bearable tracks on Lulu and because ‘Junior Dad’ goes for over 19 minutes I’m left with over 8 minutes of strings fading us out. Weird. Really weird.